It was just before the afternoon recess. I was ready to teach my class for a math lesson, when a parent from the Home and School Association came into the classroom. She requested to speak to the students…alone. It wasn’t that unusual of a request. In past years the Home and School Association has put on a number of things for teacher appreciation week, and this was one activity that is done with the students secretly without the teacher knowing! I left the room for a 5-minute stroll down the hallway. When I returned I saw a haggard looking parent emerge from the classroom. ‘How do you manage to control them?’, she asked. I raised my hand, and within seconds every student had their hands up and eyes on me, much to the surprise of the parent! The real reason this works is because I use it at least twice a day. The students are used to it. There are no surprises when my hand goes up because it’s a well-rehearsed procedure. I give credit to my good friends Harry and Rosemary Wong for first showing it to me. A lot of these methods have been out there for years. So, whatever method you use, be it turning off the lights, hands on heads, a bell, just make sure you rehearse it as often as you can with your students. Once it works, you can quiet down any class, any audience in the gymnasium, any group of students within seconds. Think how easy it would be to get everyone’s attention at an assembly or on a bus or on a field trip. What a simple idea that costs nothing to implement. 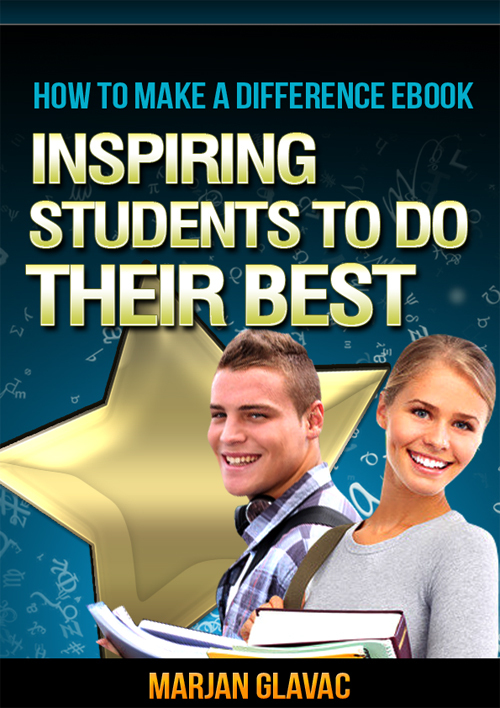 How To Make A Difference: Inspiring Students To Do Their Best is a 222 page resource with ideas and strategies on how to overcome obstacles, how to motivate a class and how to get yourself motivated when nothing seems to help. It also comes with a bonus workbook of 100 pages of activities, strategies and incentives to keep you and your class engaged all year long AND a 2.5 hours on-demand video.